Toothbrush Holders - Antibacterial - 5 Pc Only $4 Plus FREE Shipping! You are here: Home / Great Deals / Amazon Deals / Toothbrush Holders – Antibacterial – 5 Pc Only $4 Plus FREE Shipping! 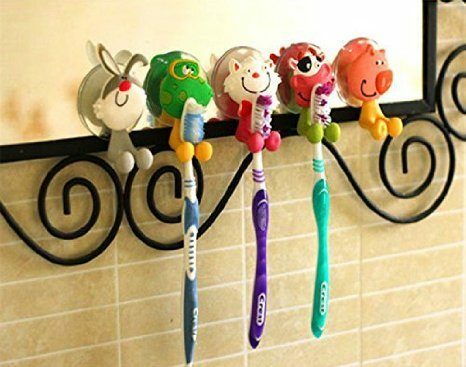 Toothbrush Holders – Antibacterial – 5 Pc Only $4 Plus FREE Shipping! Head to Amazon to get a set of kids’ Toothbrush Holders – Antibacterial – 5 Pc for Only $4 Plus FREE Shipping! Keep your kids excited about brushing with these toothbrush holders! Designed to keep your toothbrush dry and protected harmful bacteria.